The Maske Electric String Trio show was established to take advantage of the perceived gap in the corporate and special events entertainment scene. 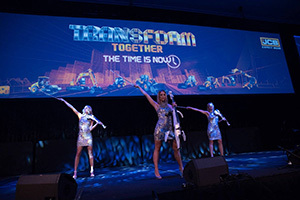 This group has performed for some of the best known and loved brands from Australia, USA, India and the Middle East – such as Audi, Hennessy, Mercedes, BMW, Canon, Samsung, Orica and Westfield, just to name a few. 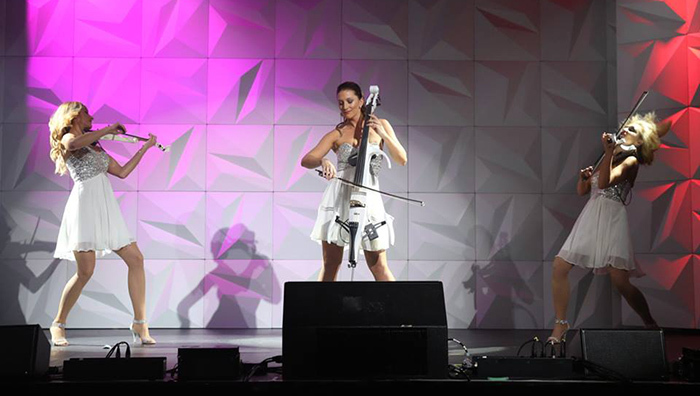 Comprising of three classically-trained young female musicians, Maske focuses on providing a high-energy, impactful classical-pop fusion experience for each and every client. With their white electric Instruments, virtuosity and glamour – Maske leaves other corporate entertainment acts floundering in their wake. Maske regularly perform for functions, ranging in size from intimate cocktail parties & weddings, to conferences with over 12,000 delegates. Their show can be tailored to suit any event with sets from a 2 minute spot to a full 2 hour concert. Equally at home on electric and acoustic instruments, they can also provide sets of intimate background classical music. Copyright © 2017 Maske Music.